The Dermapen is an interesting tool for the strengthening and the rejuvenation of the skin. It consists of a small handheld device that creates micropunctures on the skin’s surface with an oscillating motion to correct anomalies, improve skin texture, and produce a tightening effect. The device also allows the use of liquid solutions which increase the effects of strengthening and of rejuvenation of the skin. FOR WHICH CONDITION IS THE DERMAPEN HELPFUL? The Dermapen is used mainly on the face and is helpful for correcting and treating acne lesions, even active acne. This is a simple, inexpensive treatment which will often be used in conjunction with other therapeutic techniques. 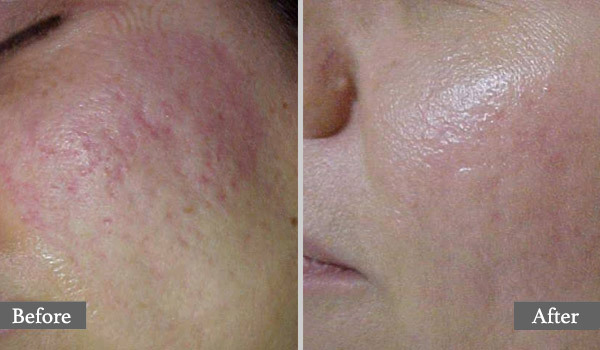 One of the main advantages of Dermapen is that it can be used on any skin type, without generating an increase in pigmentation or excessive depigmentation. WHAT DOES THE REJUVENATION OF THE SKIN WITH DERMAPEN CONSIST OF? The treatment consists of sliding the Dermapen on the skin after applying a liquid. A topical anesthetic agent will generally be used, depending on the intensity of the rejuvenation treatment. The procedure is slightly uncomfortable and lasts about 30 minutes. There will be visible skin redness for 12 to 24 hours, but it is easily concealable, and therefore, there is no recovery time. 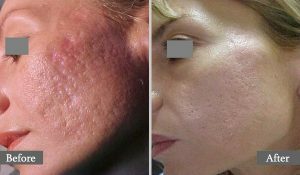 ARE THE RESULTS OF THE DERMAPEN PERMANENT? In general, the Dermapen significantly improves a pre-existing condition. Depending on the initial condition, it may be necessary to repeat the treatment with the Dermapen. It is also possible to adjust the intensity of treatment for more severe lesions. To maintain the results obtained by the Dermapen treatment, it is necessary to prevent recurrence by using the appropriate supportive treatment. For hyperpigmentation, something as simple as avoiding exposure to UV rays is important. For the treatment of acne, steps can be taken to reduce the risk of recurrence, but they do not offer 100% protection. Although Dermapen is used to attenuate acne scarring, it can also be used to attenuate episodes of acute acne. In terms of the treatment of fine lines and wrinkles, the results obtained with Dermapen, although significant, obviously do not prevent aging of the skin. A healthy lifestyle and the judicious use of skin care can contribute to the longevity of the results. At the Medispa de Maisonneuve non-surgical medico-aesthetic Clinic, our team will give you proper advice and offer follow up for you to fully benefit from your treatment.